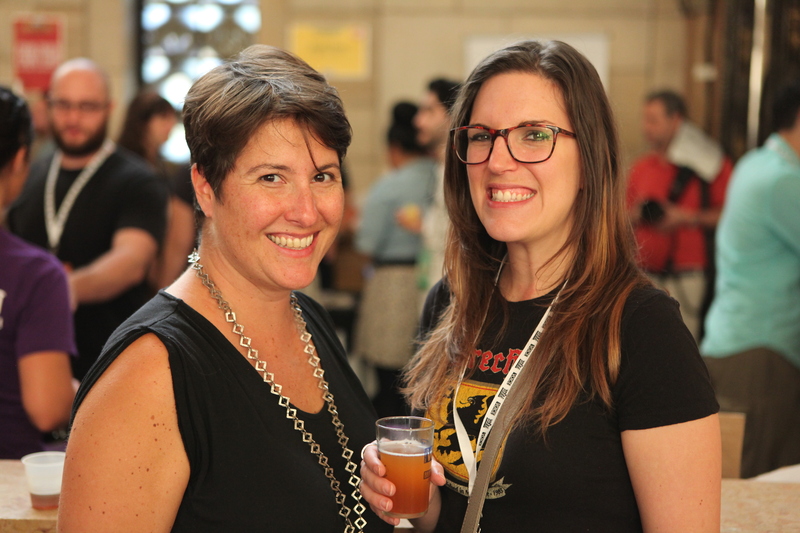 Sonya Giacobbe and Cat Wolinski cheesin’ at the Village Voice Brooklyn Pour beer festival, Sept. 2014. Sonya Giacobbe is the better half of KelSo, a Brooklyn-based beer company that launched in 2006 with Kelly Taylor, husband and overseer of the Heartland Brewery restaurant group (the “Kel”) and Giacobbe (the “So”) at the helm. Recently, KelSo was awarded the Brooklyn-Made Gold Certification from the Brooklyn Chamber of Commerce for producing local ales and lagers that meet the Gold qualifications of being headquartered in Brooklyn, staffed in Brooklyn and most-if-not-all made in Brooklyn. The Clinton Hill-based beer company’s products (KelSo Pilsner, KelSo Nut Brown Lager) are now available on draft and in cans up and down the East Coast from Philadelphia, Penn. to New London, Conn. Along with co-running the KelSo show, Sonya previously served as director of the Simon & Schuster and Machete Speakers Bureaus of the Greater Talent Network. 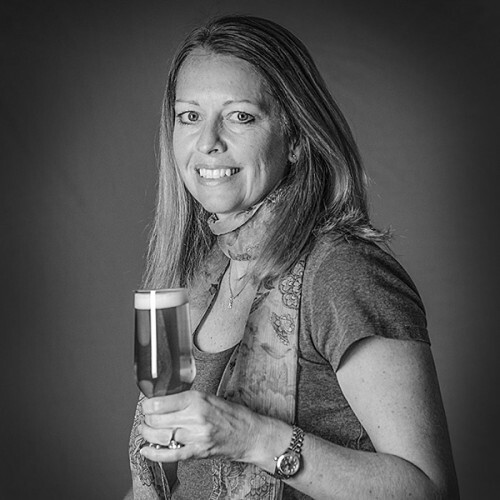 Kim Jordan has more than 25 years’ experience in the craft beer industry. As co-founder of New Belgium Brewing Company (est. 1991) and having served as CEO for 15 years, she has strengthened the brewery and craft beer community at large as a leader, speaker and expert in all things beer biz. Jordan recently transitioned into a new role as executive chair at New Belgium, setting her sites set on strategy and advocacy for progressive business practices both within the New Belgium Family Foundation and on the 1% For the Planet Board of Directors. Carol Stoudt is often touted for being a craft beer pioneer, and not only as a woman—she was crowned “Queen of Hops” (a media-given title) as the first female brewmaster and brewery owner in American history post prohibition, but was also one of the first brewmasters and brewery founders of that time, starting her business in what was arguably the most important year of the craft beer revolution, 1987. Filling rolls that were hardly there to be filled, Stoudt showed the country that craft beer belonged here, and she’s continued to do so for the last 28 years. #WomanCrushWednesday is a BeerAffair series highlighting female leaders of the beer and brewing industries. View past crushes by clicking #WomanCrushWednesday or #WCW. 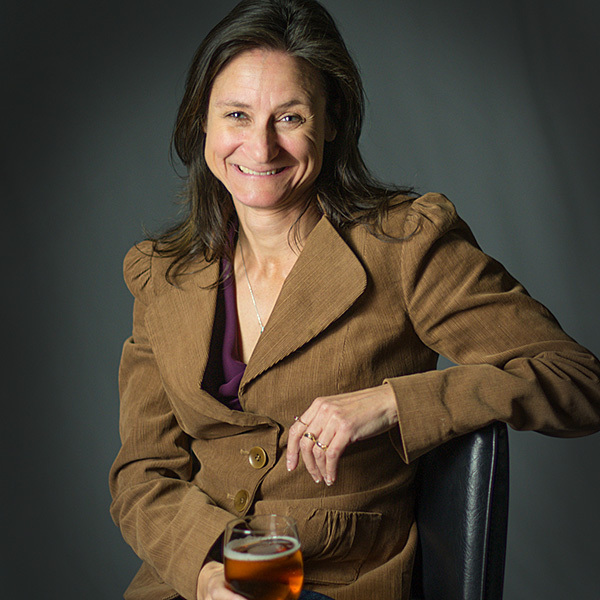 Jill Redding, editor-in-chief at the Brewers Association. As the Brewers Association editor-in-chief, Jill Redding is responsible for overseeing the bi-monthly publication (every two months) of Zymurgy, a magazine “for the homebrewer and beer lover” which informs amateur beer makers on trends, best brewing practices, award-winning recipes and industry events, and the New Brewer, “a passionate voice for craft brewers,” created to provide commercial startup breweries with information on topics like brewing technology, problem solving, and management. The Brewers Association (BA) is a non-profit trade association established “to promote and protect American craft brewers, their beers and the community of brewing enthusiasts.” In addition to its publications, education, insights and statistics pertaining to the craft brewing industry, the BA is responsible for major industry events such as the Craft Brewers Conference, Great American Beer Festival, SAVOR and World Beer Cup. Now in a millennial world, it’s not so surprising that women are joining the beer community in troves, stepping onto the scene as sales representatives, marketing coordinators, reporters (ahem) and imbibers, and—although they are still few—brewers and brewmasters. But before there were us gals who started appreciating good beer post-2000 (although we still may feel uniquely, utterly female in a scene that continues to be dominated by beer guts and beards), there were women like Mellie Pullman, who I’d like to spotlight for my first #WomanCrushWednesday (#WCW) post here on Beer Affair. I do not mean this in the literal or romantic sense, as I’ve never met Pullman personally, I mean it simply in the sense that my “love affair with beer” (where the name Beer Affair came from) is due in part to women who flew their freak flags high before it was popular, or even possible, for gals like me to be a part of the beer community. “Replanting the Seeds of Brewing,” Craft Beer & Brewing, May 15, 2015. 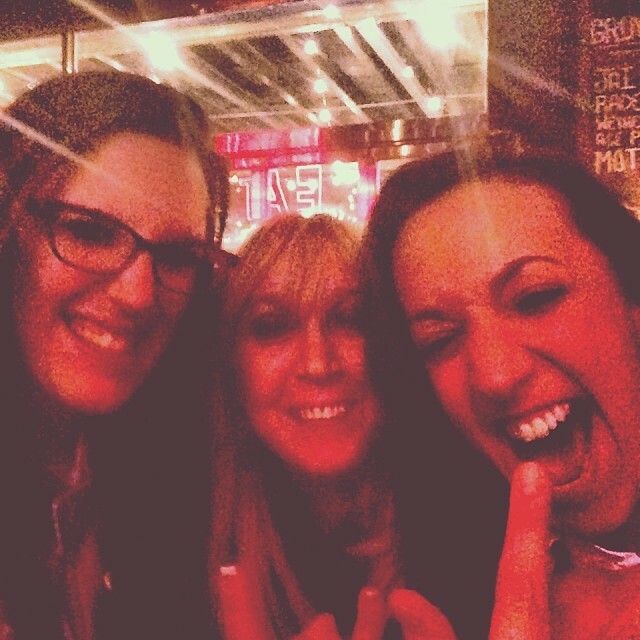 After re-reading a feature written by Tara Nurin in Craft Beer & Brewing last month, “Replanting the Seeds of Brewing,” I was reminded of all of the women I have yet to meet, the history I have yet to learn, and the amazing strides women have made in this still-young industry since it began its second wind in the 1980s. 3. She lobbied to modernize the alcohol laws in Utah which were, even up until the late 80s, quite restrictive. Beginning with Pullman and moving through the significance several more, Nurin’s article attributes beer props to Beth Hartwell, who co-founded Hart Brewing in Kalama, Wash. (now Pyramid Breweries) in 1984; Rosemarie Certo, who co-founded Dock Street Brewing in Philadelphia in 1985; Carol Stoudt, who became the nation’s first female sole proprietor-brewer in 1987; Barbara Groom and Wendy Pound, the first female ownership team in the industry, who opened Lost Coast Brewing in Eureka, Calif. in 1990; and Teri Fahrendorf, currently specialty malt account manager at Great Western Malting in Vancouver, Wash., who entered the industry at 1988 as a brewing intern and now has 19 years’ experience as a brewmaster and brewery supervisor at various locations. Although you can take the woman out of the brewing industry (according to Nurin, Pullman left her post at Wasatch just three years after co-founding it), you can’t take the brewing industry out of the woman—Pullman is now serving as an associate professor at Portland State University, where she teaches several courses in the Business of Craft Brewing Certificate program.